Will the Audi Q2 fare well on the roads of Pakistan? We take a closer look at the German crossover. The first thing I notice on walking into the Audi showroom located at Club Road, Karachi is the visit experience itself. It’s plush, complete with a guide wearing white gloves and cold towels offered to freshen up. I guess it makes sense given that buying a car is not an easy decision. Especially a German car that has a long list of add-ons to choose from. The Audi showroom in Karachi. Before I jump to the test drive, let's analyse its entry into Pakistan. The Audi Q2 is the newest crossover between an SUV and a hatchback from Audi. 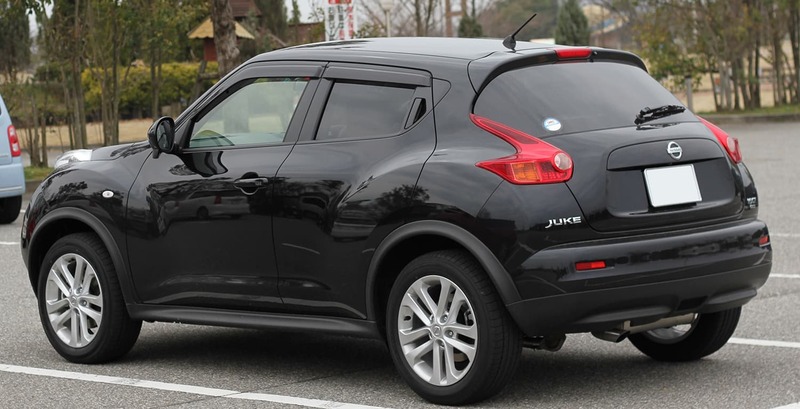 It is the latest segment of crossovers that automakers have found to be quite popular within the urban demographic because they’re not as big as a conventional SUV or a station wagon, but offer a similar experience without taking up multiple lanes on the road and requiring a dozen mirrors to navigate city traffic. Pakistan has only been recently exposed to crossovers. BMW X1, Honda Vezel, Toyota CH-R, Honda Atlas BR-V and the Audi Q2 are the top crossovers right now as far as I know. All of these are great cars to be in, and come for almost the same price so the market is quite competitive. So is the Q2 right for you? 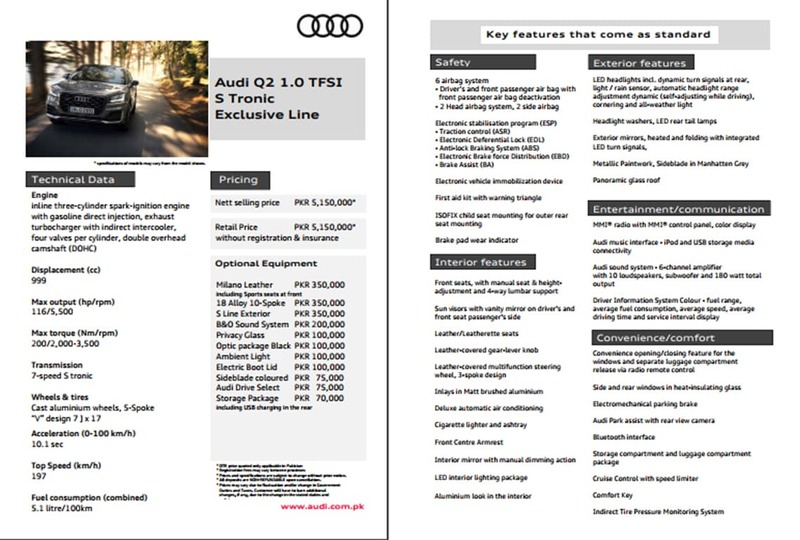 The standard version is priced at Rs 4,600,000, and the exclusive version (with add-ons) is for Rs 5,150,000. The equipment in the standard line can be viewed here. You can also check out the add-on options in the exclusive version. Crossover SUVs are facing a perceptual challenge. Such vehicles are new to the country, and people don't know if they want one yet. A lot of people here still consider smaller engine displacement size i.e. 1000cc, 660cc, etc as too small, but are they really? Ford’s latest supercar ‘GT’ comes with 3500cc turbo-charged engine that produces a staggering 647 HP. Mclaren P1’s 3.8L engine churns 727 HP. Apples and oranges, yes, but if those cars are producing that much power from engines of that size then you have got to consider the fact that size isn't probably everything. One liter is more than enough for a car that’s built for the urban environment, or mainly a daily driver. The engines of yesteryear with their big crates are a thing long gone. Today, climate change is dictating the future of the cars, and until the infrastructure and technology isn’t in place for alternatively powered vehicles, engines will keep getting smaller. So make no mistake, the Q2 has enough torque and HP to get you from 0-100 KM/H in just 10.1 seconds. Keep in mind, engines make low HP at lower RPMs - even the big HP engines. Audi Q2 produces 116 HP @ 5,500 RPM while the 200 nm. of torque is available at 2,000-3,500 RPM which is great for the city. An interior view of the Q2. As I said earlier, Germans make the most profit on their cars through offering many add-ons. A report from earlier this year said that Porsche makes on an average, US $17,000 in profit per car and that is mainly through ordering options because no one buys a base Porsche; just a natural leather seat option is an additional US $5,000 so go figure. However, in the Q2’s case, Audi has made many important add-ons as standard. Personally, the only addition I would make would be the panoramic roof. Many important add-ons come as a standard in the Q2. Upon sitting inside, it is clear that Audi really know their materials. The interior is, in a word, amazing. The fit and finish is fantastic. The brushed silver panels accenting the grey dashboard are well made and put together. However, Audi’s minimalist design language does make the Q2’s interior feel a bit bland when compared with its own larger siblings. Minimalist interior of the Q2 does make an impression. The one drawback with Audis is something global. They don’t have enough legroom in the back. You fit just fine, but it’s not exactly roomy. The legroom at the back might be a tad too congested for some. The 17-inch standard wheels provide decent grip/road control that doesn’t make you feel on the edge of your tyre’s road grip. It definitely feels ‘big’ when you’re driving it, just not Land Cruiser big. Even though newer Audis in their grey colors are able to disappear within traffic, this one stands out with its enormous front and dynamic exterior. 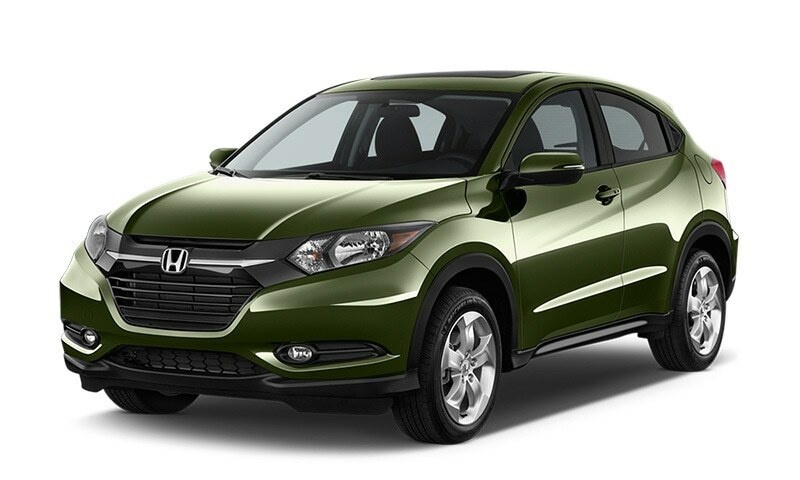 It's already a large car and feels even bigger when you're in bumper to bumper or worse, door-touching-door traffic. An exterior view of the Q2. The torque availability at lower RPMs gets you moving real quick. I personally didn’t feel any lack of power though I wanted to test its power on different RPM ranges but didn't get the chance. Regardless of which color you buy it in, this car is bound to turn heads. Side note: it is unfortunate that despite Audi having many beautiful and lively colors on offer, many buyers are opting for white and grey. This is apparently to blend in and also ensure its resale value, which is quite good if we’re to believe the Audi Pakistan spokesperson. Today, technology is enabling companies to target the exact demographic for specific car forms. Companies are now building cars for a more targeted requirement rather than producing a sedan for a broad range of users and calling it a day. A Crossover SUV like the Audi Q2 is a vehicle that a lot of people may not know they want. Audi aims the Q2 toward the younger, hip crowd of first time luxury car buyers. But if you ask me, most of Pakistan will be first time luxury car buyers as Germans make their cars more affordable. People looking for a car that's not small like a hatchback, yet feels compact and drives like an SUV, would be the ideal buyers of the Q2. 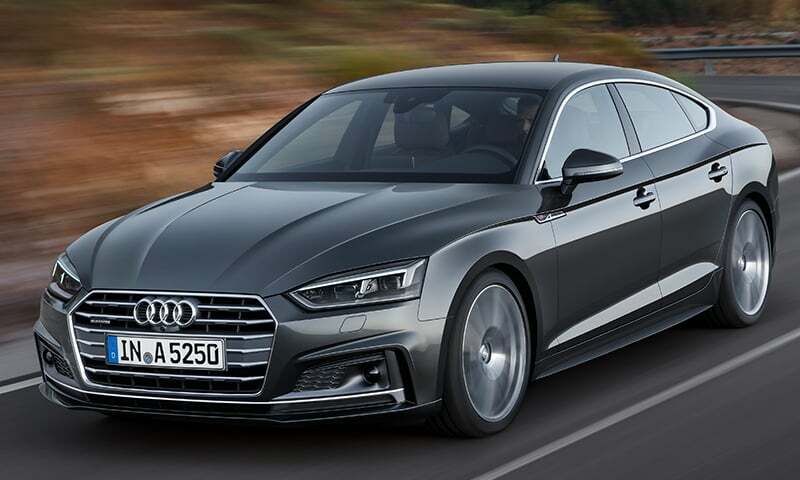 Is the new Audi A5 worth the Rs 7.25 million pricetag? OK.IF THIS SUB RUNS OVER PAKITAAN ROADS, ONE THING WILL BE CLEAR THAT THE PEOPLE WHO RUNNS THIS EXPENSIVE VEHICLE. , DOES SUCH PEOPLE BE GIVEN A GOVT: PERMIT TO USE?. ON THE CAST OF GOVT: REVENUE and poorer will be allowed.? Never, why as the poors are not exempted from a loan of a bank worth one thousand only but the permit holder are exempted from billions of rupess by pm/PRESIDENT secretariat.because poors does not need more money to fill stomach and the richests to have taken their wealth and sub vehiles while migrating from earth to heaven.!!!!°. ".....As I said earlier, Germans make the most profit on their cars through offering many add-ons." Sorry i do not agree here. It is the quality of German engineering that makes German vehicles popular, not add-ones. This is one reason why German cars are pricier than most brands from other countries. I think I can afford a Tire of this car, it's too expensive for an average Pakistani. I was only wondering how this car will do on the desert with all the Quattro Audi technology, since that is something I love to do, Sindhu desert have some beautiful Oasis. Over priced cars in Pakistan. Car makers minting money from Pakistani people. More powerful engine size with all options is little more than the base price here in the US. Pakistanis should demand less price obthe cars in Pakistan as the standard options are below par. Should a poor country like Pakistan have even such luxurious cars on the roads? Those who have these and similar cars have no other reason but to impress others who can not afford these, and prolong a gender gape. I live in USA and have these and better aminities but truth of the matter of fact is that the real pleasure is achieved by helping others, bringing the downtrodden upward and not using luxurious life style. That is what the life summarized to me on this earth after spending my 67 years. Overpriced, underpowered, fancy Volkswagen. Small engine using turbo to get hp, therefore very inefficient in the city. Parts and maintenance on Audis are Audacious. Assuming there is a small niche for these cars in Pakistan. Let the .1 % enjoy. At least these will not take two lanes like the land cruisers. It's a Volkswagen for people with money to burn. Wow.. Cars are so expensive in Pakistan as government take money in taxes alot. The sign of a failed state in making. I would fancy Al-Khalid tank, made locally in Wah factory. Suitable for our roads (all weather and secure), locally built - supporting our local economy. These vehicles are for elite only. Working middle class or below can only only dream about them unfortunately. Good, all foreign car makers coming back to pakistan. Now we should develop our own car industry. @Jay_UK then you must not be living in pakistan but a neighbouring country. Audi is an over priced product with many issues world wide. Just see a 10 year Old Honda with basic mechanical and body care the car will be shiny new and fit to run. See in contrast 10 year old Audi or BMW or Mercedes, not only will they break down more often are also far more expensive to repair. Sorry this article sounds as 'paid by' the brand. There is nothing so special about MOST of audi products. Yes, the TT, S8 are another story. Also Audi has electrical issues. The way forward has been set 20 years ago by Japs and now Koreans. I like and love German cars, I like both Audi and Porsche cars too much, but the problem is I have no money to buy it, Even if someone offer me for free even though I will be not able to bear petrol expenses for it So what should I do now, I have to keep stones on heart and wait for some miracle. Headline should say "Fair well" and NOT "Fare Well". Guys we can export cheaper audi's to Pak from India. I am surprised why they haven't launched this in India. 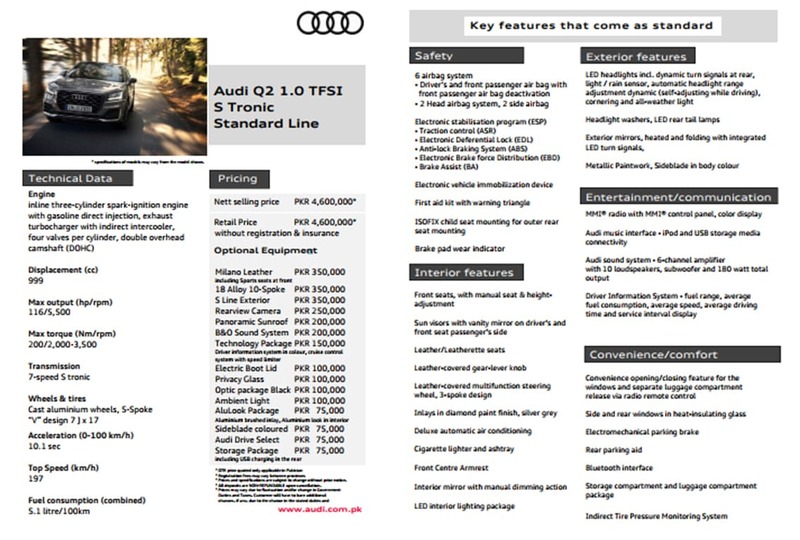 We get only Audi Q3 and Q5 which are far more expensive. @Khan VW and Audi are the same company. Audi is just the expensive line. It's "Made in India" Auragabad factory! @Imtiaz ali khan This is a luxury brand..not for average person. Even here in US, most average person look for GM,Ford, Hyundai, Kia etc..brands. BMW, Mercedes ... buyers are upper middle class to most fortunate. @CRACK how you can compare Audi to Honda I never know German cars are built for quality and reliability. I have a 30 year old 300 SL and even today it drives elegantly and not a sign or rust compared to the Japanese Brands. AUDI are owned by VW all German cars are quality and reliable. Thats why they have the major share in England. I have a Q7 myself and the main concern for me is that if I ever have a crash I know I will be alot more safer than any Japanese Brand. Audi is a top brand and a very reliable one in that. If you have the money then this is a lot better choice then other brands. @CRACK in Parts of Pakistan Maybe but in the big cities People know what they want!!! Audi has become a very popular brand in India. Is outselling BMWs, and Mercedes on Indian roads. Q3, Q5 and Q7 apart from the sedans from their stable, A3, A4, A6, A8 are too popular. Volkswagen and Skodas sell too yet are way behind. Then follow the American, South Korean and Japanese behemoths. Lastly, we get local Indian brands to choose from which too are quite a few. Market prices have plummeted and roads are choked and youngsters are driving crazily and killing and getting killed. An SUV loaded with flashy specifications and a logo of Audi and yet only 999 cc is simply amazing. But, its price of over half a crore is baffling. Is it not eligible for custom duty applicable to less than 1000cc category? These car articles are for 0.001 percent of Pakistani's. Who other than filthy rich can afford these vehicles. Come on be realistic and use your pages to highlight what is needed to be done and how and why it is not being done. I am far everyone to enjoy their halal earnings. Do you really think purchasers of these vehicles will spend this much money earned halal. It's height of hypocrisy. @SAAF GO - I think you missed the point.. He is talking about "Profits" not "popularity" and it is true for all car manufacturers. Add-ons give you more profit margins than the base car itself. @Khaleesi while pakistan is celebrating launch India is celebrating manufacturing and launch. so basically only to use some part ok Pakistan and some part of specific city......! one has to wonder why you go spend that much money but unable to drive everywhere in the city..
@NIKUS OK, didn't know that bit, thanks. But every model in India is very cheap due to existing intensest competition in four wheelers and two wheelers. And yes, Pune is full of them, others being Chennai, NOIDA etc where dozens of companies make their products. Is this as an advertisrment by Audi ? @Mehran As someone who has worked in Audi and now is at Daimler (in Stuttgart), I assure my friend those localization numbers are pure fabrication. Cars made in India are CKD (Completely Knocked Down) cars. CKD cars are made in Germany, then disassembled sent as parts to India and reassembled there for tax purposes and get the "made in India" tag. Audis always give me headaches. My father always had an Audi, but there is something in the interior that gives me a headache. @Just asking AUDI is in the process of setting a car assembly plant in Pakistan. Renault is on fast track to start assembly in Pakistan. The car vendor industry is not only supplying parts to local players but also into exports. If Audi open a plant in Pakistan than pakistanis should consider buying the car but if not than they shouldnt. Thats how Pakistan will proposer. Think Pakistan first than Luxury. If it benefits Pakistan than i suggest that every Pakistani should but it....but if it doesnt than no one should and Pakistan should consider making its own brand. Its time Pakistan got of of its lazy so and so and actually start building the country back up to where it should have been. Audi's are coming to Pakistan now? @dean Then tell us about the money as well that is consumed to keep your SL in shape. The way roads are behaving in Karachi, Audi would be driven on a select few stretches of the roads and that too with an armed guard sitting at the back seat. @Jay_UK did you travel pakistan ? Or do u have any experience of pakistani roads. Dear we have sigle free roads and up to standard. Well maintained too.